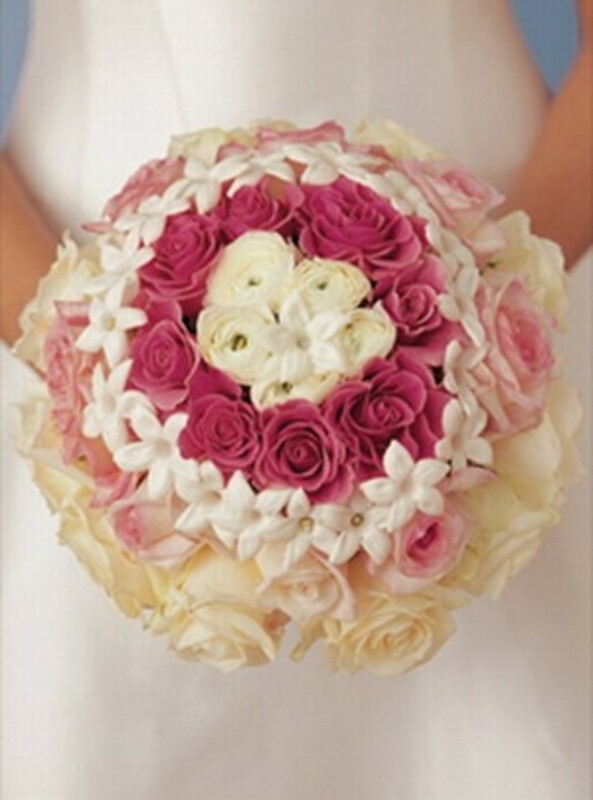 Bouquets come in a variety of shapes, sizes and styles. Every bouquet style can be adapted easily to any colour scheme and flower selections. 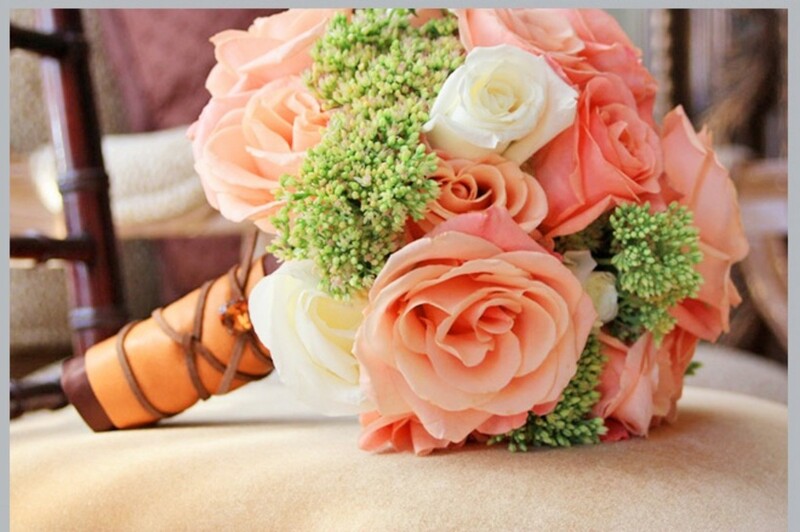 Finding pictures online or in magazines of bouquet styles and flowers of interest are a great idea. But, the fact is that flowers will depend a lot on the design of your bridal dress, the theme of your affair, your body type, (shorter or taller), and time of year, (seasonal availabilities). 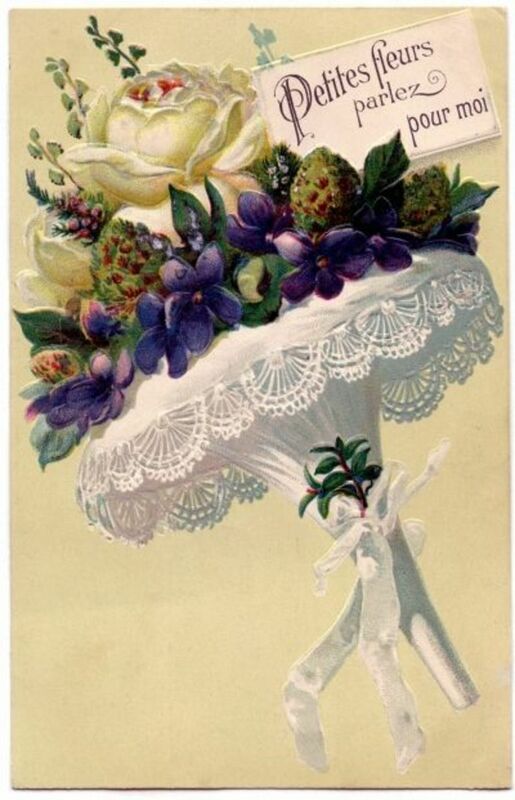 It is always a good idea to bring a swatch of your dress fabric or a photo to your first meeting with a florist. You may be asking yourself why you should go through all this trouble but if your dress is detailed and ornate, a florist will recommend a bouquet with simpler, clean looking flowers. However, a dress with less detail will work well with a more over the top bouquet with crystals, ribbons and so on. 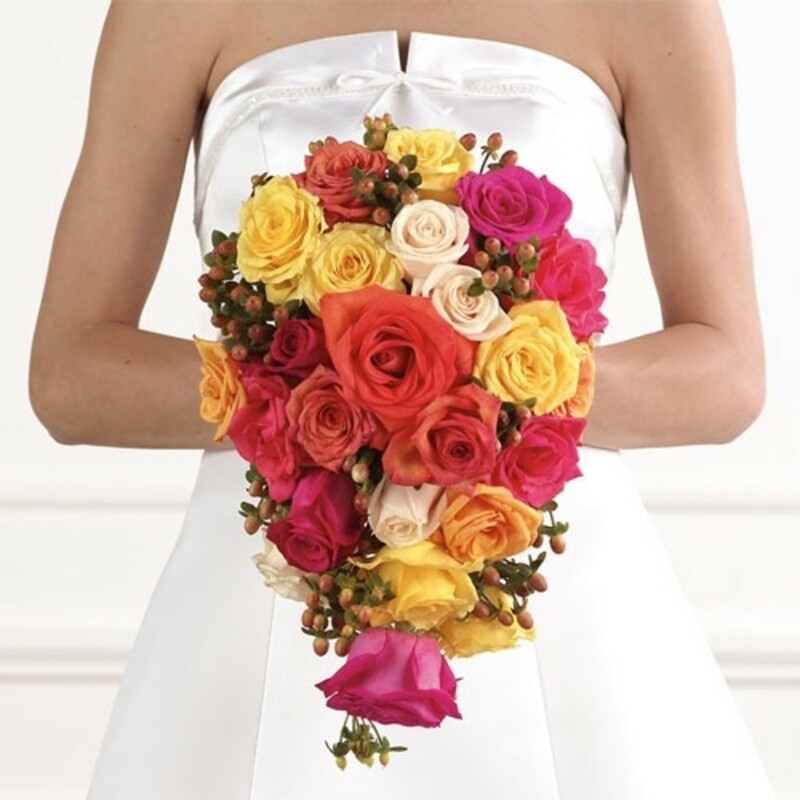 Bouquets should complement your dress not take away from it. 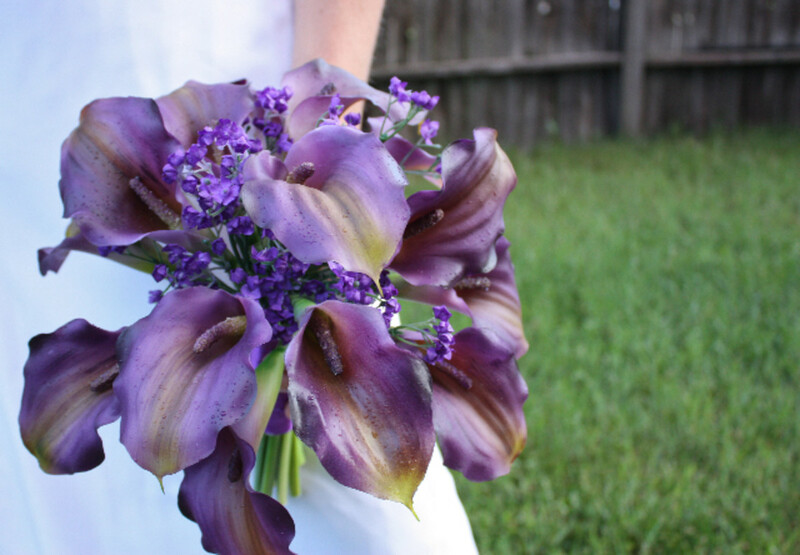 This particular bouquet, whether it is a partial or full crescent, has a distinctive "U" or horseshoe shape. A Cascading bouquet is a very traditional design. This bouquet has a long and flowing string of flowers. The scepter bouquet resembles the long handled ornamentation carried by nobility. This long bridal bouquet design is making a comeback and are often finished off with long grasses, bouquet jewelry and other unique finishes. 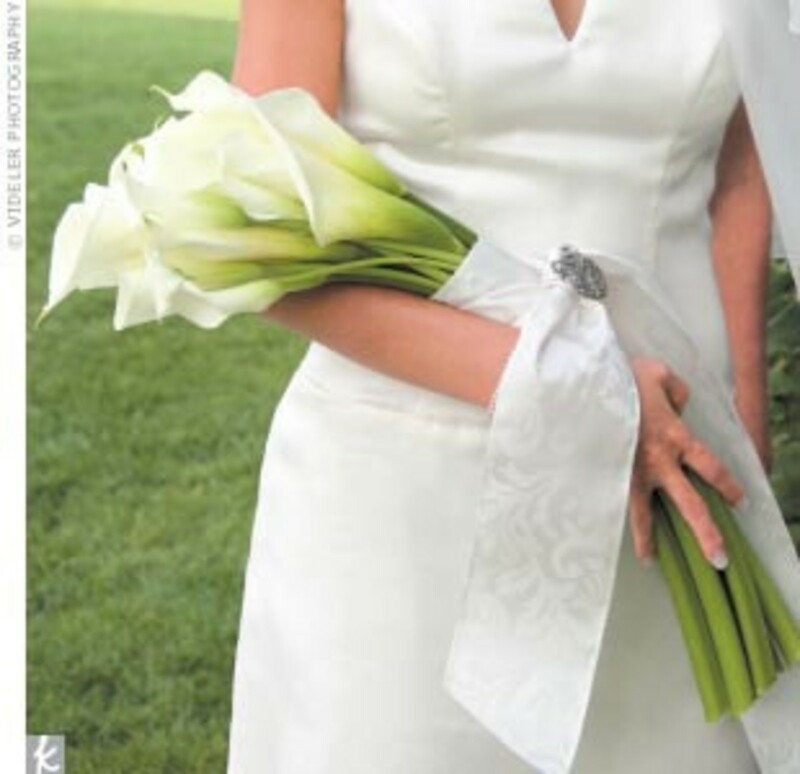 The naturally curved arm bouquet is intended to be carried in the crook of the arm. This particular bouquet should be carried naturally with the elbow bent and the hand resting at the waistline. This bouquet is circular in shape and can be very small or quite large. 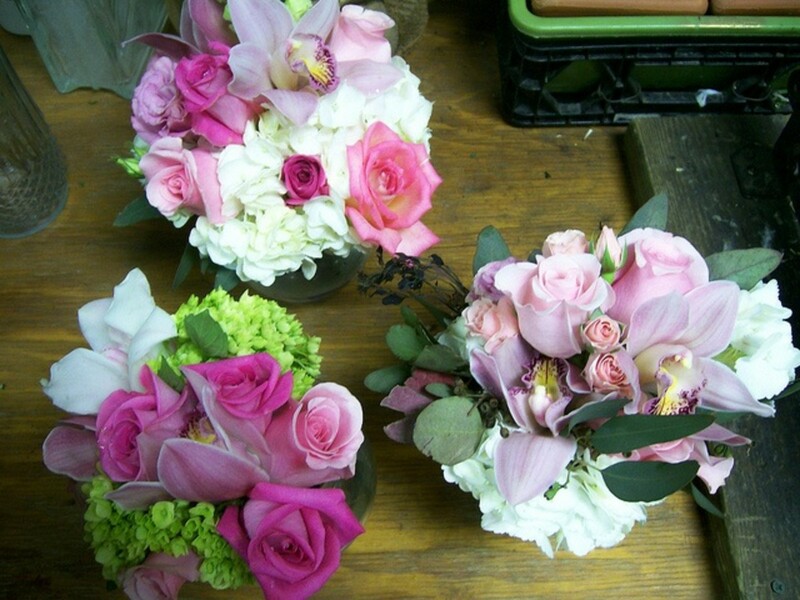 Once the bouquet is completed, the heads of the flowers should be straight in the center and the other heads tilt outward ultimately giving a distinct dome shape. The teardrop bouquet is similar to that of the traditional cascading bouquet but is more defined without the flowing string of flowers. A hand-tied bouquet, also known as a clutch, is created without a holder. The flowers are gathered together by the stems and tied. The stems serves as a handle. 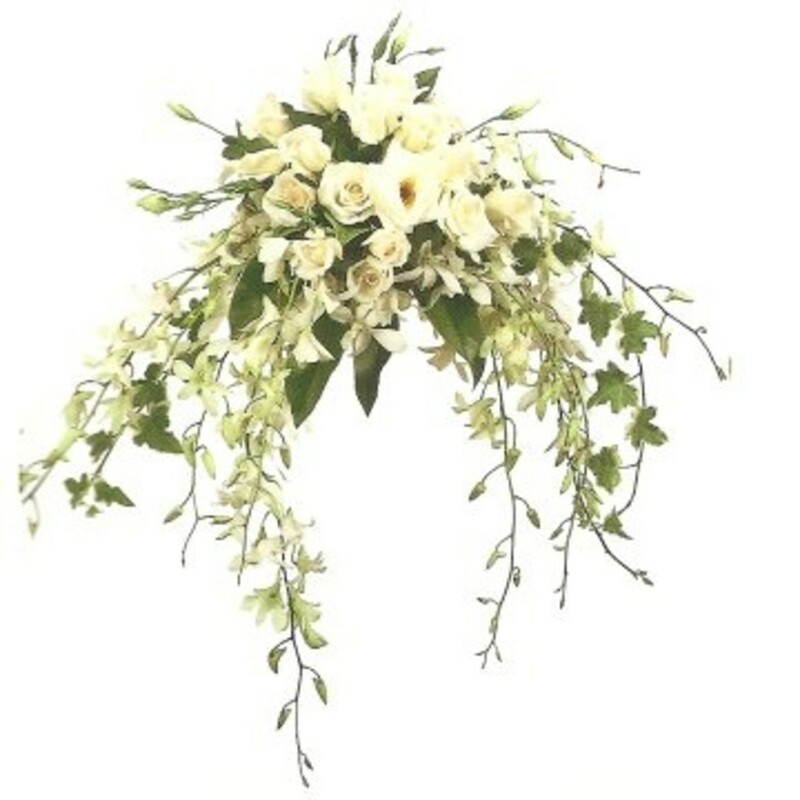 The asymmetrical or free style bouquet has a looser shape and feel. Biedermeier bouquets are typically round with circles of varying flower varieties throughout. The Biedermeier style is also used in wedding centerpieces, cake toppers and other decorations. 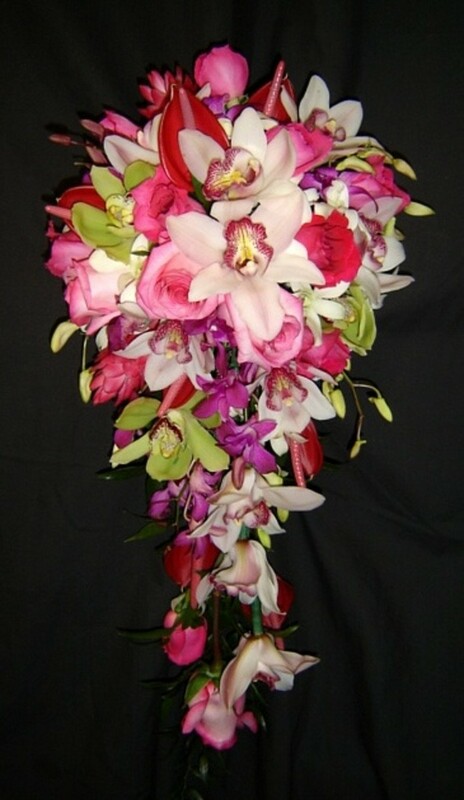 A nosegay bouquet tends to be on the smaller side and is normally carried by bridesmaids or flower girls. 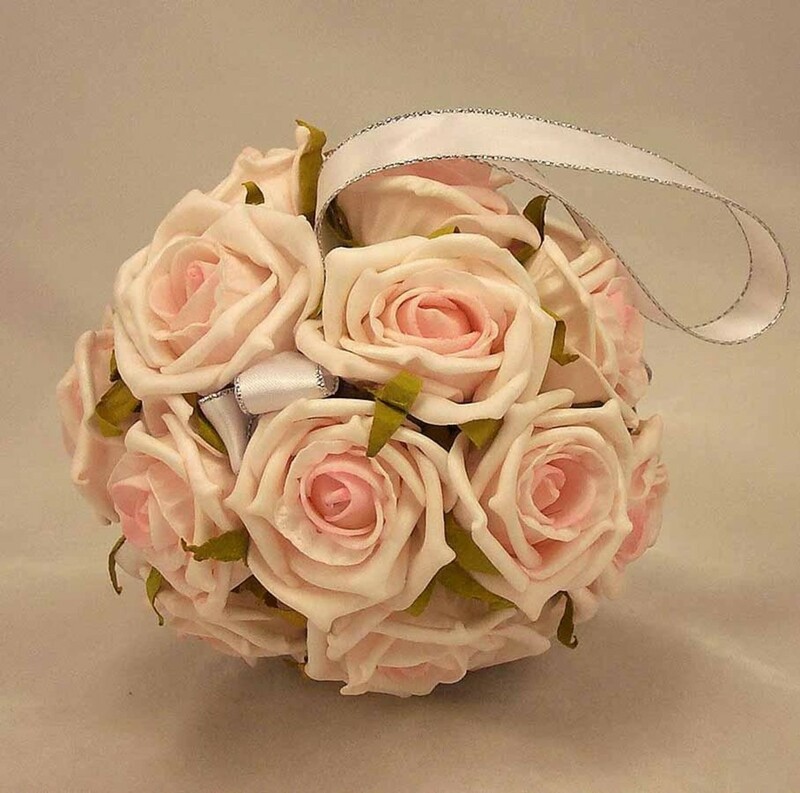 A pomander is a delicate ball shaped bouquet of flowers. The pomander is also used as decorations at the ceremony and are hung on pews and from the ceilings. The pomander is also used as a substitute for a flower girl basket. 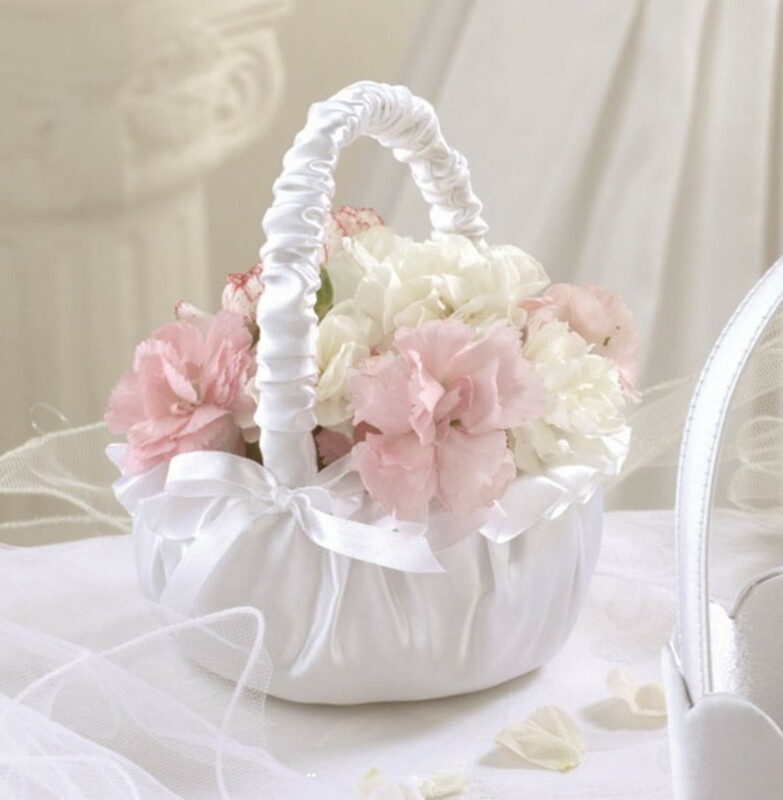 A flower girl traditionally carries a small basket arrangement of flowers or rose petals, but today she can carry just about anything that's delicate and scaled down. Flower girls can carry tiny nosegays, scepters, pomanders, small hand tied bouquets or small purses adorned with a corsage. The possibilities are endless and you're only limited by your imagination. For those of you who are not quite certain, a Corsage is a small bouquet of flowers worn by women at the shoulder, wrist, waist or attached to a clutch. 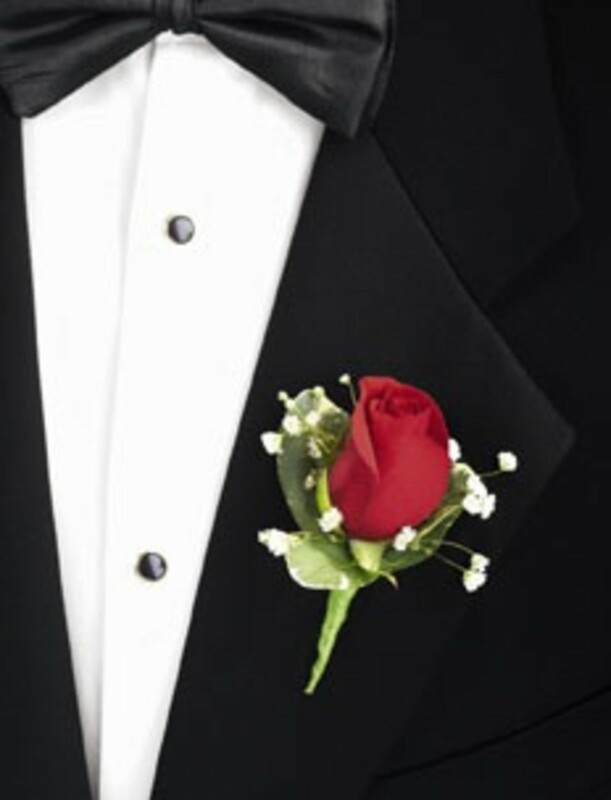 A Boutonnière is a single flower, bud, leaf or tiny bouquet worn by men in the buttonhole of a lapel. 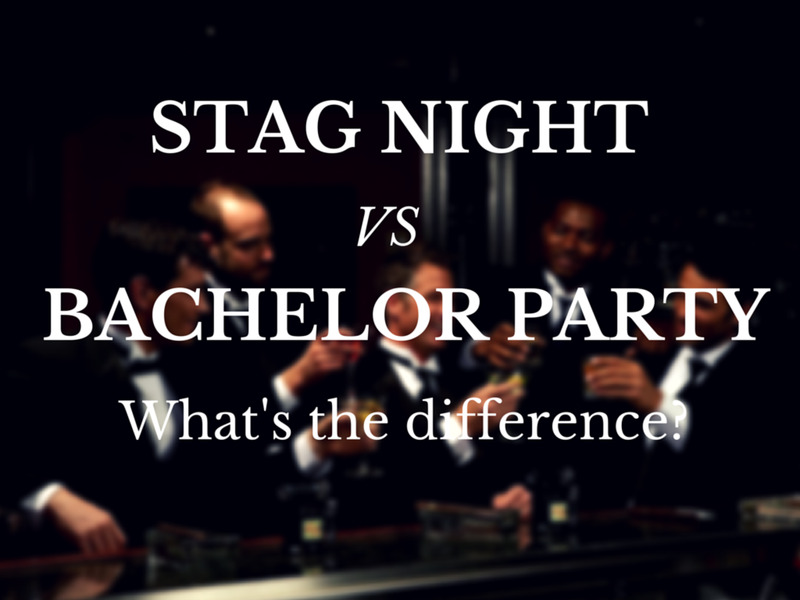 It is not written in stone as to who receives a corsage or boutonnière. Traditionally, a corsage or boutonnière are given to parents, stepparents, grandparents, brothers and sisters (not in the bridal party), groomsmen and of course, the groom. Depending on your budget, although it is not mandatory nor an etiquette requirement, you may choose to give one to anyone you wish to honour. 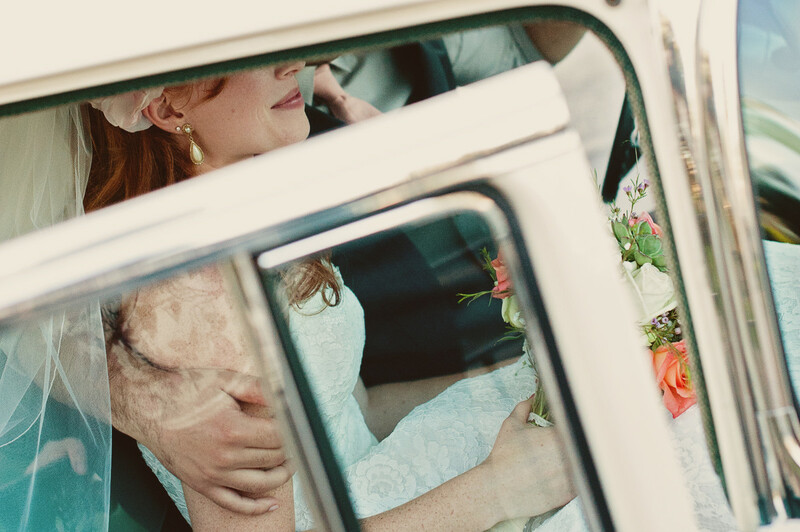 Some couples choose to give a corsage or boutonnière to uncles and aunts, Godparents, officiant, master of ceremony, church readers or close friends. 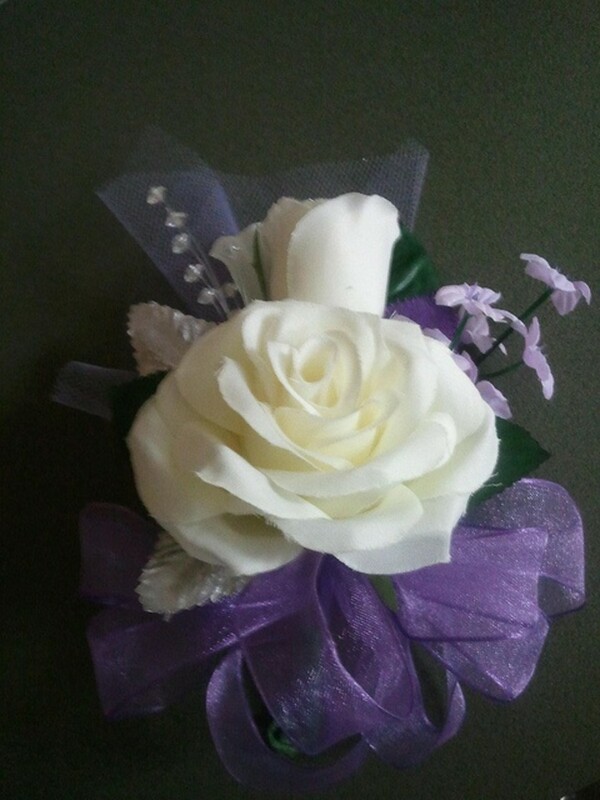 A corsage can be modest or elaborate. It can be composed of a cluster of flowers such as roses or carnations; a mix of flowers and greens such as freesia, alstroemeria, stephanotis and leather leaf; or a simple cymbidium orchid or gardenia with some ribbon or tulle. 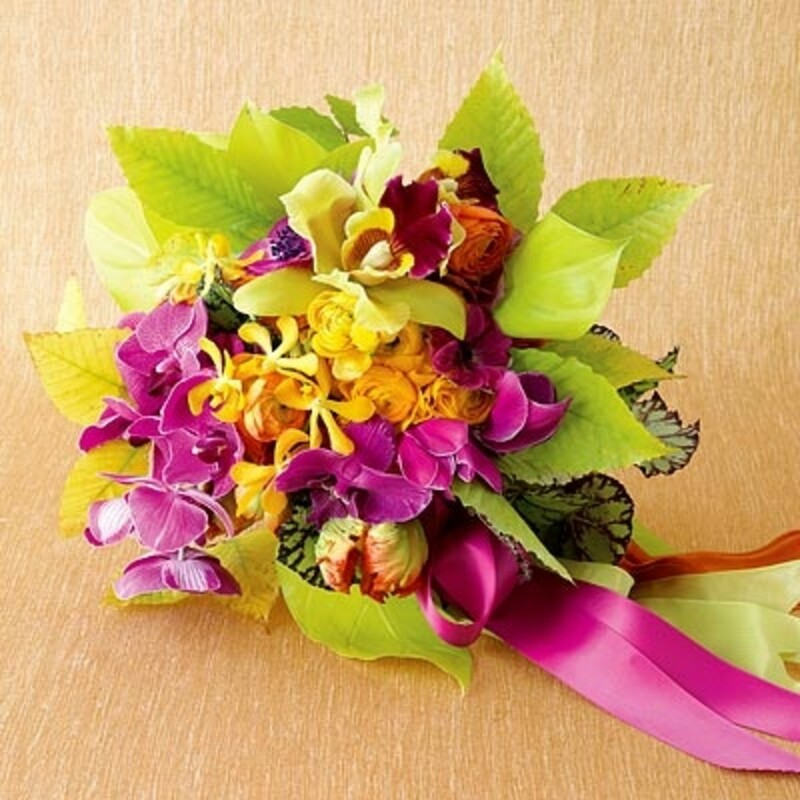 A corsage should match the attire, in colour scheme, of the person you are giving it to. It is easy enough to accomplish this with that of the mothers of the bride and groom's corsage but difficult to achieve if you are planning on giving corsages to other guests and family members. You won't know what everyone will be wearing. A simple remedy to the problem is to make all of your corsages in neutral colours only. A cluster of cream coloured mini carnations with a white ribbon or a single large, cream coloured carnation with a bow is elegant, fragrant, and inexpensive. Also, carnations are durable, last a long time, are available throughout the year and come in a cornucopia of colours. 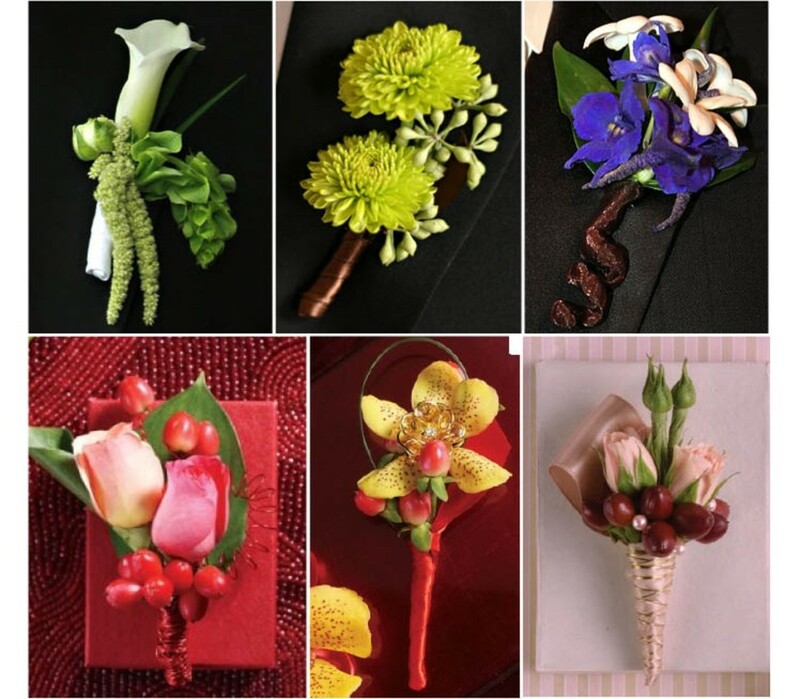 There are other factors with corsages that you may want to consider such as what form you are ordering them in. If you choose a pin on style, remember that if someone is wearing an expensive suit or dress, they will not want to poke holes in it. You may want to opt for a wristlet style. It may cost a little more but the person wearing it will appreciate it. You should be aware that some wrists are bigger than others and if it is too tight it will be bothersome so ask your florist because there are a couple of different elastic wristlet sizes. 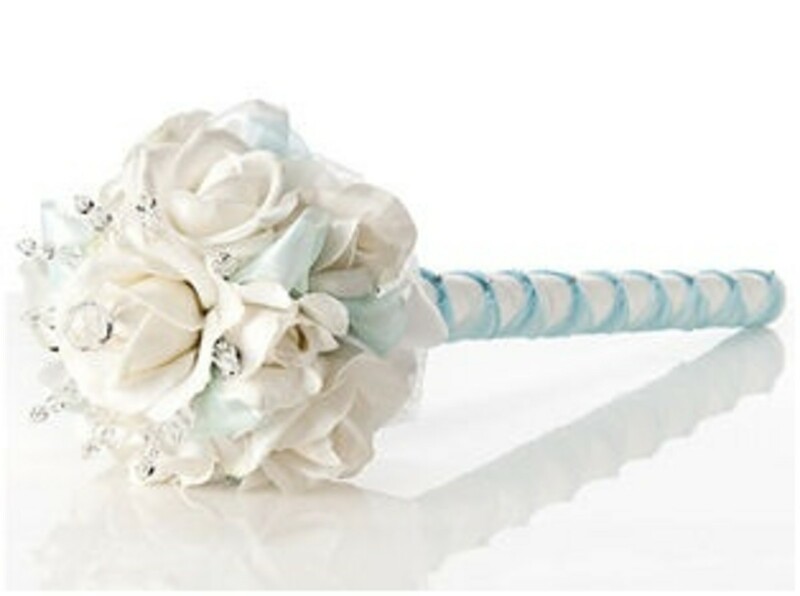 If it is within your budget, you can also choose a corsage with magnets which can be placed on the clutch or purse or even clothing without damage, so once again ask your florist. As an alternative to the corsage, the mothers can hold tiny posies or nosegays. These can even be given to others as well. Also, you can forgo the corsage entirely in exchange for a single stemmed flower such as gerbera or a rose. Essentially, the man "corsage" can be composed of just about any kind of flower or leaf so long as it is small and fits on a lapel. Popular flowers used for boutonnières, with an elegant quality are, roses with baby's breath, orchids, and mini calla lilies. A groom's boutonnière traditionally should share some of the same aspects as the bride's bouquet such as a predominant flower. However, you can opt to have the same colour scheme instead which works just as well. Regardless of what you decide, when it comes to bridal bouquets, corsages or boutonnières, remember that you have choices but always be mindful of your budget because it is quite easy to go overboard with flowers. 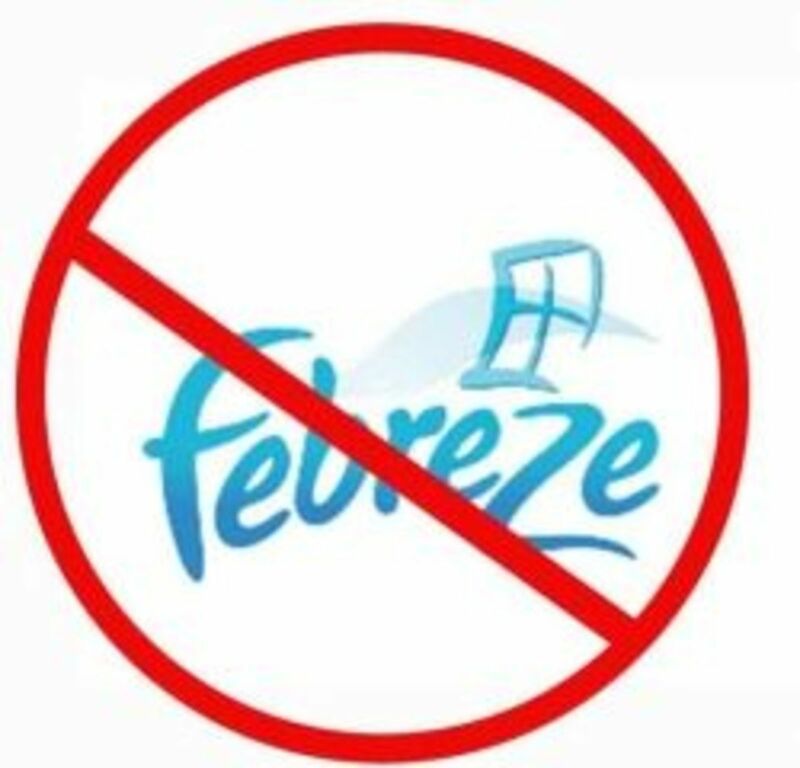 Also, a couple of things you may want to remember is to keep all corsages and boutonnières refrigerated or in a cool environment until you are ready to distribute them. Another good idea is to order a couple of extra corsages and boutonnières because things do happen so it is better to be safe than sorry, (ask for extra corsage and boutonnière pins as well). 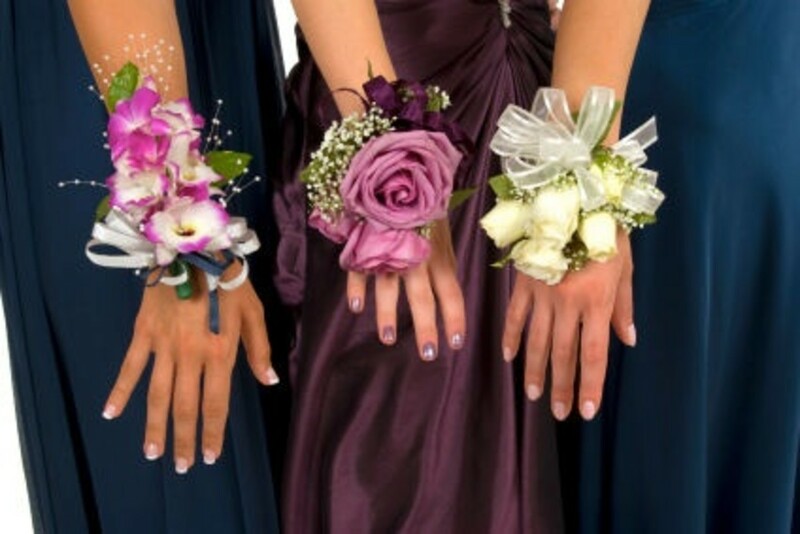 Do you prefer pin on or wrist corsages? Asking all the right questions will help you choose the perfect florist for your special day. In Part III of our Wedding Flowers series, we will be taking a look at what you need to know when it comes to the floral selection for your ceremony and reception. We will be taking a look at décor ideas for your reception venue as well. In Part IV, the final segment of our Wedding Flowers series, we're going to take a fun look at flowers and their meanings. Awesome styles here and such a lovely idea for a hub your focus on such titles are endless. I enjoy reading your work and always look for your new title. A useful hub indeed. I learnt quite a few things from this hub esp about corsages and boutonnières of which I had no idea about the terms used for them. Thanks for sharing, Rose. Voted up and interesting. 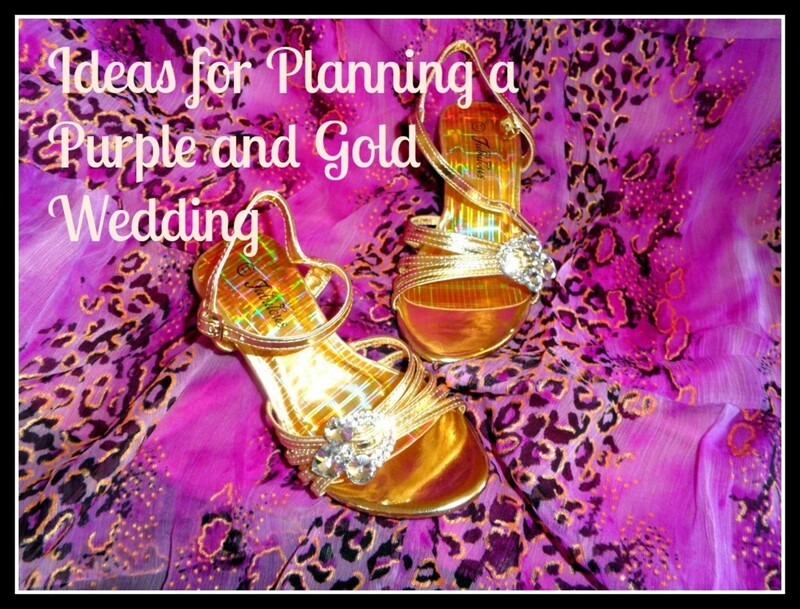 Excellent information for someone planning a wedding. There is so much to learn and plan so it goes off smoothly. 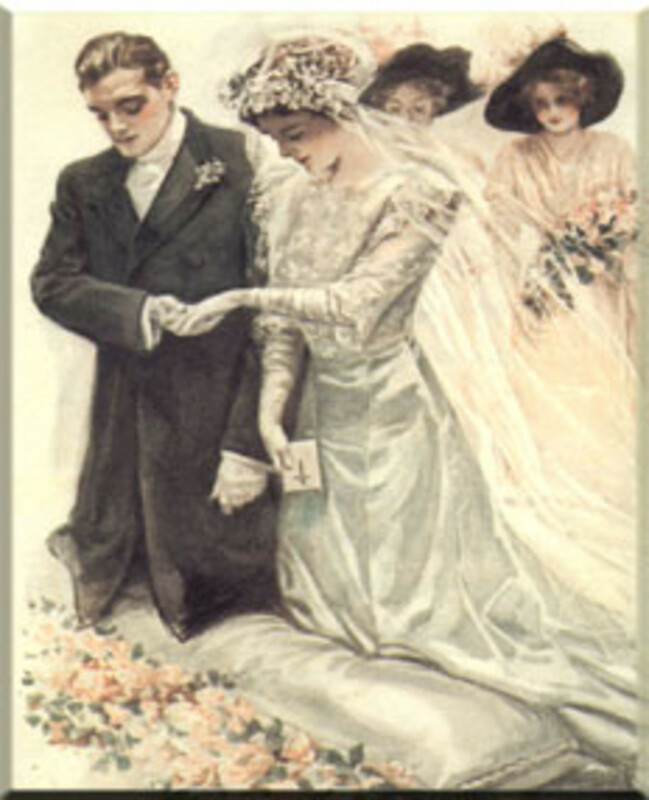 I remember when weddings were simpler, less expensive, and still beautiful. Sharing with my followers and pinned to my 'Wedding' board. Thank you so much anginwu. I too am a certified floral designer and I had a shop a few years ago so flowers are also a huge interest to me as well. I have many interests I would like to write about but I hope to one day write some articles specifically about floral design. Once again, thanks for stopping by. Take care! Love your collection of corsages, bridal bouquets and boutonnieres. I do wedding flowers on the side too, so I do appreciate this hub very much. Will bookmark it for reference. Loved it and shared. Thank you so much for your kind words rebeccamealey! Greatly appreciated..........take care. How pretty! 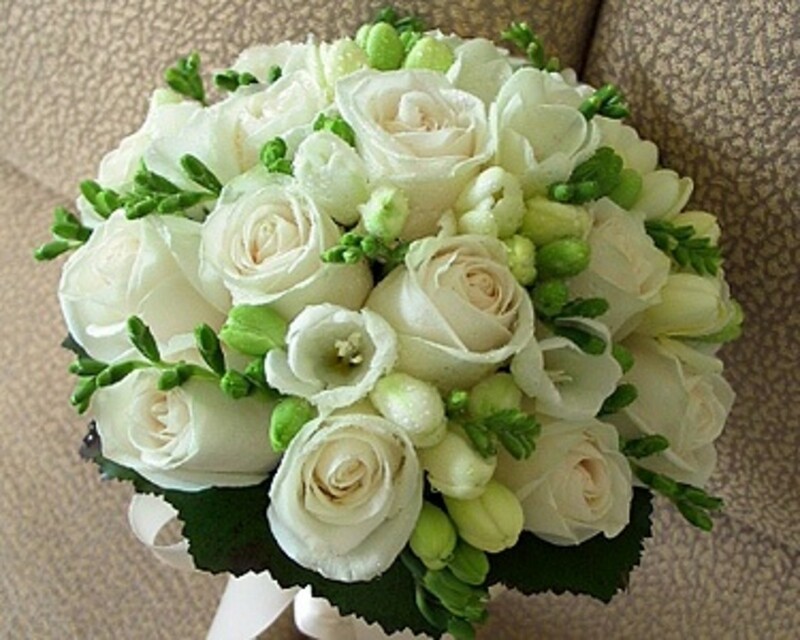 It is good to learn a little about the different structures of the bridal bouquets. I vote awesome and interesting!